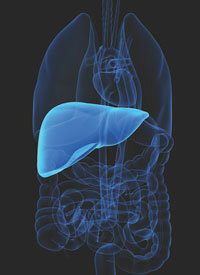 The FDA has granted a priority review designation to nivolumab (Opdivo) for use as a treatment for patients with hepatocellular carcinoma (HCC) following prior sorafenib (Nexavar), according to Bristol-Myers Squibb, the manufacturer of the PD-1 inhibitor. The supplemental Biologics License Application (sBLA) for nivolumab is based on safety and efficacy findings from the phase I/II CheckMate-040 trial, which were published in The Lancet and will be presented at the 2017 ASCO Annual Meeting. The FDA is scheduled to make it its final decision on or before September 24, 2017. Between November 26, 2012, and August 8, 2016, the phase I/II CheckMate-040 trial accrued 262 patients with advanced hepatocellular carcinoma with or without hepatitis C virus (HCV) or hepatitis B virus (HBV) infection. There were 48 patients in the dose-escalation phase and 214 patients in the dose-expansion phase. Seventy-seven percent of patients in the dose-escalation phase and 68% of patients in the expansion phase had prior sorafenib. The median age of patients in the escalation phase was 62 years (range, 55-69), 75% of patients were male, 58% were white, and 40% had an ECOG performance status (PS) of 1. Seventy-five percent had surgical resection and 21% had received radiotherapy. In the expansion phase the median age was of patients was 64 years (range, 56-70), 80% of patients were male, 49% were white, 47% were Asian, and 36% had an ECOG PS of 1. Sixty percent of patients had surgical resection and 19% had received radiotherapy. In the escalation phase, patients received 0.1 to 10 mg/kg of IV nivolumab every 2 weeks. Patients in the expansion phase received nivolumab at 3 mg/kg every 2 weeks. The overall objective response rate (ORR) in the escalation phase was 15% (95% CI, 6-28), including 3 complete responses (CRs) and 4 partial responses (PRs). Five of the 7 responses occurred with 3 months of initiating nivolumab. The median duration of response was 17 months (95% CI, 6-24) and the median time to progression was 3.4 months (95% CI, 1.6-6.9). The disease control rate was 58% (95% CI, 43-72). The 6-month and 9-month overall survival rates were each 66% (95% CI, 51-78). In the dose escalation phase, the median overall survival was 15.0 months (95% CI, 9.6-20.2). The ORR in the expansion group was 20% (42/214; 95% CI, 15-26), including 3 CRs and 39 PRs. Combining these responses with 96 (45%) patients who had stable disease, the disease control rate was 64% (138/214). The 3 CRs occurred in 2 patients without viral hepatitis and 1 patient with HBV infections. All 3 patients had prior sorafenib. Twenty-nine (69%) of the 42 responses occurred before 3 months. The median duration of response was 9.9 months (95% CI, 8.3 to not estimable) and the median time to progression was 4.1 months (95% CI, 3.7-5.5). The 6- and 9-month OS rates in the expansion cohort were 83% (95% CI, 78-88) and 74% (95% CI, 67-79), respectively. The 6- and 9-months progression-free survival rates were 37% (95% CI 30-43) and 28% (95% CI 22-35), respectively. The researchers retrospectively assessed PD-L1 expression levels and response among 174 (81%) patients with available data in the expansion group. Thirty-four patients had PD-L1 expression on ≥1% of their tumor cells, and 140 patients had PD-L1 expression on <1%. The ORRs were 26% and 19%, in the higher and lower PD-L1 groups, respectively. The researchers reported that nivolumab was tolerable with a manageable safety profile during the dose-escalation phase. A maximum-tolerated dose was not reached. Twenty-five percent (12/48) of patients had grade 3/4 treatment-related adverse events (AEs). There were 3 treatment-related serious AEs: pemphigoid, adrenal insufficiency, and liver disorder. Safety in the expansion cohort was similar to the escalation cohort. Grade 3/4 and serious treatment-related AEs occurred in 19% and 4% of patients, respectively. The incidence of symptomatic treatment-related AEs was comparable in patients, regardless of whether or not they had an HCV or HBV infection. Twenty-four patients discontinued treatment due to AEs, and there were no deaths related to treatment. El-Khoueiry AB, Sangro B, Yau T, et al. Nivolumab in patients with advanced hepatocellular carcinoma (CheckMate 040): an open-label, non-comparative, phase 1/2 dose escalation and expansion trial [published online April 20, 2017]. doi:10.1016/S0140-6736(17)31046-2.